This horse riding holiday takes you to an inspiring parts of the country letting you to gallop freely through the endless horizons of this historical land. You will meet your local horse-guides and horses at the White lake where they will give helpful guidance for your riding adventure. Mongolian horse tends to be small, has tremendous stamina and is well adapted to the harsh environment where they have survived over the centuries. The program offers 20-30 km ride a day, depending on the terrain. Day 1. Arrive in Ulaanbaatar. City sightseeing tour with visits to National History Museum and Gandan monastery. Hotel. Day 2. Take our vehicle and drive towards our Horse camp “Khishig” situated at the shore of White Lake in Tariat soum, Arkhangai province. Half day will spend at the camp meeting with wranglers and preparing yourself for next horse trekking days. Short guidance on Mongolian horses and riding etiquettes. Horse camp. Day 3. Start our horse trekking towards Khorgo volcano. Inscriptions on the ancient monuments are considered as the oldest known written documents of Turkish language, and it describes the events of Turks Khaganate which was settled in the Orkhon valley in VIII-IX centuries. Tented camp. Day 4. 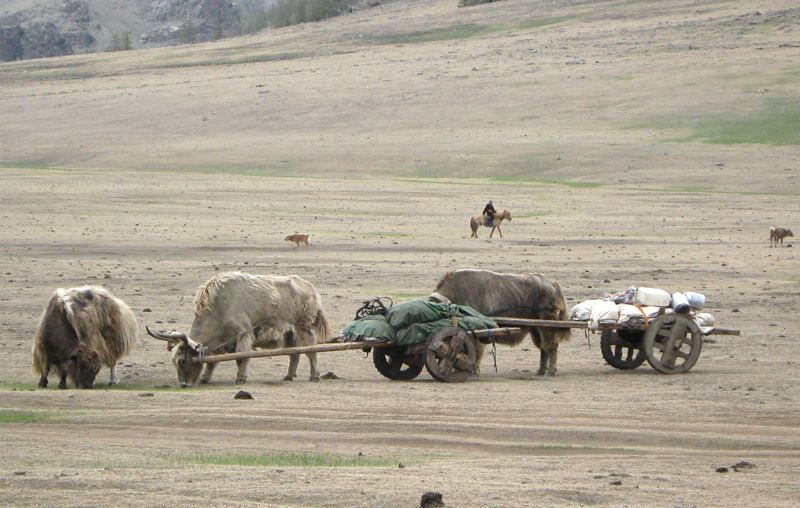 Continue our trek through beautiful Orkhon valley and arrive in Kharkhorin in the afternoon. Kharkhorin – the ancient capital and one of the important sites of Mongolian history and culture. From here the Chinggis khan and his sons ruled the Great Mongolian Empire during XIII century, and it was a political and trade center through which passed legendary Silk Road, the main commerce network of whole Eurasia. Visit to Erdene Zuu monastery built on the ruins of Kharkhorin city in XVI century. Tented camp. Days 5-9. Next few days we trek on horseback down to the south having a visit to Shank and Tovkhon Khiid temples, and arrive at Orkhon waterfall. This is the last point of our horse trekking. Tented camp. Day 10-11. Today we take our vehicle and drive towards Ulaanbaatar. Overnight stop near Khujirt in tent. Next day arrive in Khustai National Park-unique landscape that features mountain steppe and steppe. The one and only species of wild horse, the Takhi (Prjewalski horse), which was discovered at the end of the XIX century, is being reintroduced to Mongolia in Khustai Park during last 10 years. Now the number of Takhi horses has reached about 200. We will have an opportunity to watch Takhi wild horses at the pasture site and other wildlife within this Park. Tented camp. Day 12. Drive back to Ulaanbaatar. Relaxing hours in the hotel. Visit to Bogd Khan Winter Palace Museum and National folk and dance performance in the evening. Hotel. Day 13. Transfer to the Airport. Depart from Ulaanbaatar. Book this tour Now! Customize this tour for me!